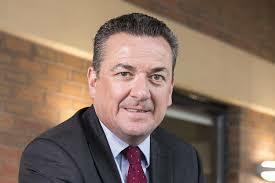 The Nottingham Building Society’s David Marlow has announced that the future of building society branches is strong, but only if they reinvent their purpose. Against a backdrop of relentless branch closures by the major banking groups the Nottingham Building Society has grown its network by embracing new technological solutions to customers’ needs and fundamentally changing the use of Bank branches. Marlow was speaking at the first in a series of evidence sessions launched by the All Party Group on Challenger Banks and Building Societies. The cross-party group of MPs is looking at banking regulations in general and access issues for consumers in particular. The APPG is taking oral and written evidence and will publish a series of detailed reports to find out how consumers can get a fair deal. “The future for us is strong as we have a proposition that is relevant to consumers. Many of our competitors are struggling to keep open their branch networks as they rely on transactions to drive business. Meanwhile, we’ve seen a 10% rise in footfall and doubled the size of our network as we’ve started offering a wider range of services. Our new branch in Newark will for example act as a community hub as well as allowing members to access a wide range of advice services using complimentary digital tools. David Marlow was speaking at the APPG’s oral evidence session on the 15th November 2018. ⟵Can consumers access the banking they need?